Another year another Boxerfest! Last year I almost passed out from the heat and this year I almost drowned. Mother nature let it all hang out during this years Boxerfest with non stop rain all day long. However this was an all Subaru car show and if you're a Subaru owner you know weather doesn't really phase us. People still showed up and hung out all day at this event which was amazing to see. It was extremely hard to film in these conditions and 98% of the shots in this video are all handheld while a few are gimbal and tripod before it started to rain to hard. 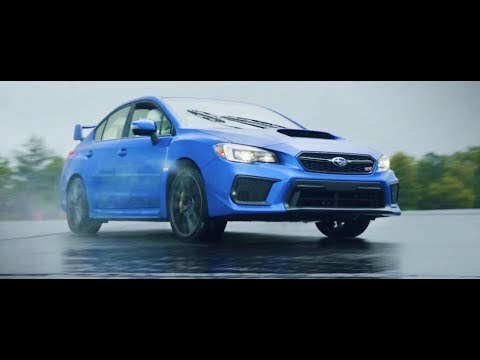 I shot at mostly 60fps to slow things down as I knew this video would have more of mellow vibe but then turned it up when the professional drivers took winners out for ride alongs. Thank you to everyone who checked out the Legacy at the show! It will be at Wicked Big Meet this Sunday at the Grimm Speed booth at Stafford Motor Speedway in Stafford Springs, CT. Make sure you guys come to that event if you like subarus. Its the largest Suby event around!! Hope you enjoyed the video! Let me know your thoughts and feedback on it in a comment below! Scharame "knyvez - Visions (Scharame Remix)"